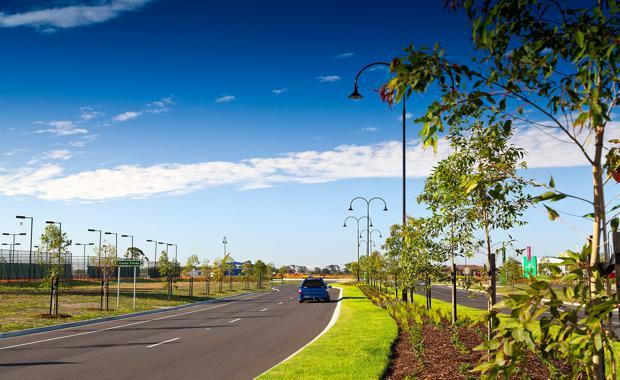 A buyers spree at Devine’s Parks Edge community in Cranbourne has resulted in 98 per cent of land sold out and only a limited opportunity to purchase new blocks. Just a limited number of blocks remain available for sale in the final release. The last two releases in Stage 8 were released just a couple of months ago and were quickly snapped up by buyers looking for affordable blocks in sought-after Cranbourne. Devine Victoria Communities Manager Nathan Jenkinson said buyers had been swiftly scooping up allotments over the past 12 -18 months. “We’ve seen an incredible amount of interest in the past year,” he said. “Parks Edge continues to attract home buyers that want a family-friendly community that offers a healthy, active lifestyle with plenty of parks and amenities. The lot sizes range from 304sqm to 661sqm with prices starting from $188,000. Titles for Stage 8 are expected in February 2016. Parks Edge is adjacent to the $30 million Casey Fields sports complex with football grounds, tennis courts, netball courts, cycling tracks, cricket ovals, soccer pitches, rugby fields and playgrounds. Opposite Parks Edge is Casey RACE – Recreation and Aquatic Centre, which includes a 50m-lap pool, water play zone featuring a waterslide, a warm water exercise pool and café. Parks Edge will be home to 4,425 residents upon completion.